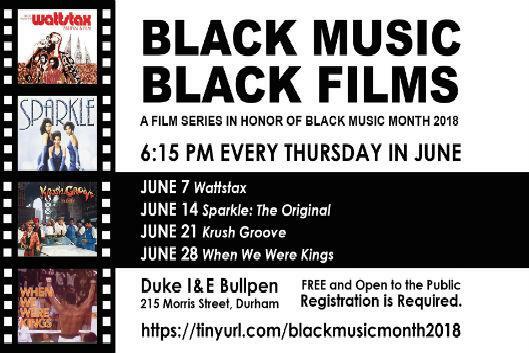 Join us as we celebrate Black Music Month 2018 with a selection of classic films showcasing soul, hip-hop and R&B music. The films will be shown every at 6:15 p.m. every Thursday during the month of June. Co-sponsored by Innovate Your Cool, a nonprofit initiative of The Art of Cool project, focused on celebrating cool ideas and the impact on music, innovation and culture.